Want to enjoy your payday installment loans to the fullest? 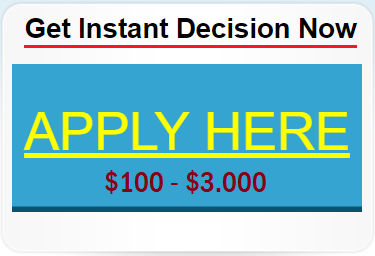 Payday installment loans are the best source of quick cash in times of emergency needs. However, sometimes consumers have the urge to become dependent on these loans and may be unable to get out of the cycle of debt. 1. Shop around for cheap payday installment loans. It is important to compare the cost of each lender’s offers. Remember to look for payday installment loans with the lowest annual percentage rate (APR) and compare the fees charged by each lender. 2. Keep in mind to borrow the lowest amount possible. The amount you borrow must meet only your emergency needs so you can afford to pay back the loan with your next paycheck. 3. If possible, ask for a cash advance from your employer. This is more affordable because there are no extra fees. 1. Ask from your bank or credit union if you can qualify for their small, short-term loan. They usually have cheaper rates than a payday installment loan. You may also try a cash advance from your credit card. However, credit cards are more costly than getting a short-term payday installment loan. 2. If you have a problem paying your bills on time, contact your creditors and ask for an extension. Most of these creditors are willing to give extensions on their loans because they want you to repay them. But be sure to ask if they charge fees for these extensions or have higher interest rates. 3. You may ask a consumer credit counseling service to help you develop a debt repayment plan and a budget. Most of these non-profit groups help you for little or even no cost. Some credit unions, employers or even local housing offices offer these services. 4. Create a budget. Make a list of all your expenses in a week and find the items you need to reduce or lessen your spending. You may also include building an emergency fund from cutting your expenses. This fund will be helpful for future emergency needs. 5. Find out about overdraft protection available from your local bank. Usually, the bank charges you for this protection, so it is important that you know how much it costs. These alternative sources for quick cash can be helpful if you have ample time to apply and if you have good credit standing. But in case you haven’t, grab an application form for payday installment loans. It may be the most suitable option for you in times of emergency needs. However, borrow only what you can afford and repay on time. You need to handle this quick cash resource wisely and responsibly to enjoy it to the fullest.